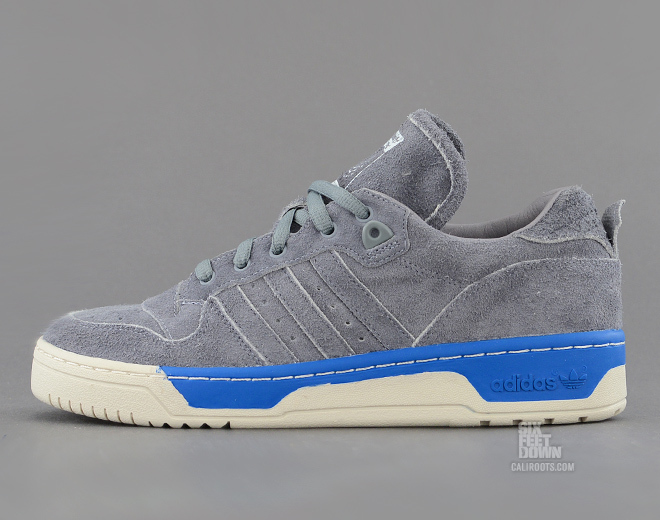 Kazuki Kuraishi's adidas Originals 84-Lab Fall/Winter 2013 collection kicks off this week with the Rivalry Lo in Tech Grey / Creole Blue. 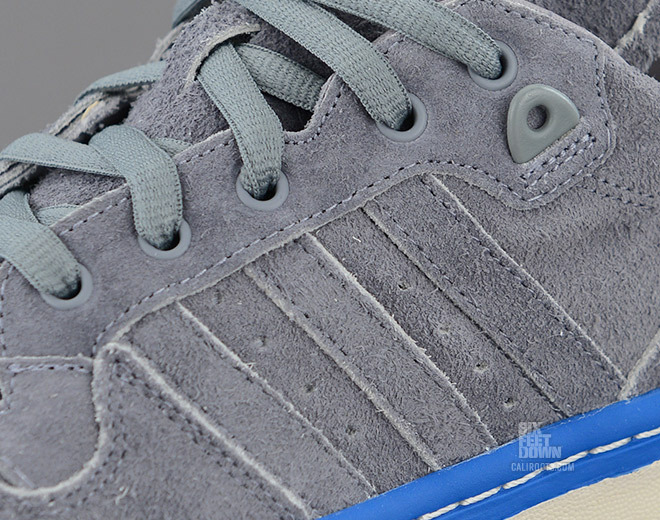 Kazuki Kuraishi's adidas Originals 84-Lab Fall/Winter 2013 collection kicks off this week with the Rivalry Lo in Tech Grey / Creole Blue. 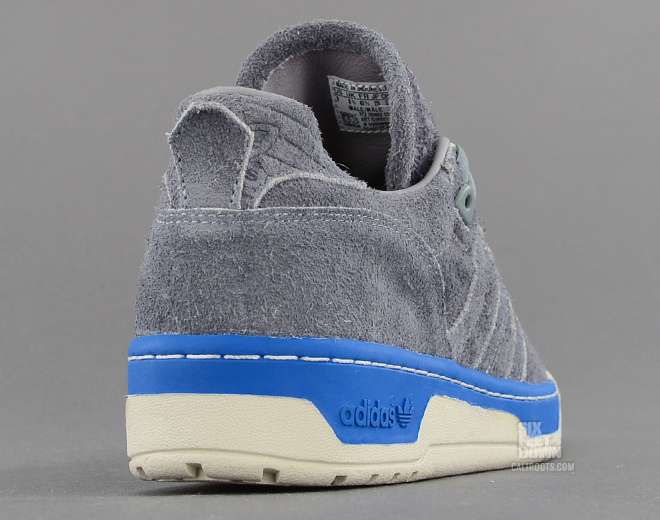 The Japanese designer adds his subtle touch to the retro silhouette, combining a monotone grey suede upper with a blue and off-white sole. 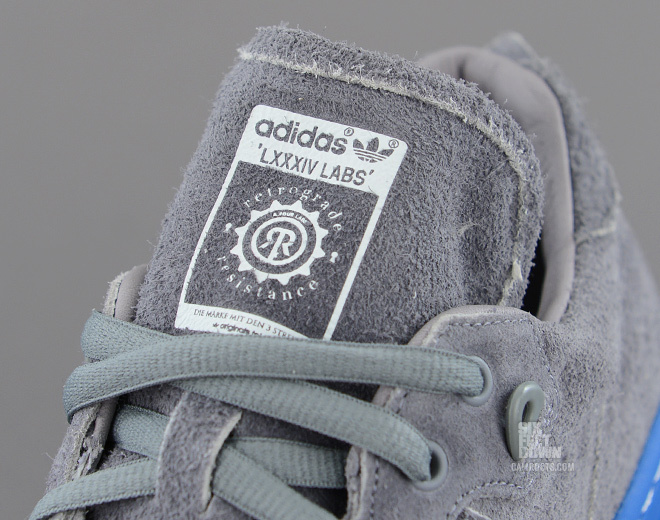 84-Lab branding appears on the tongue. 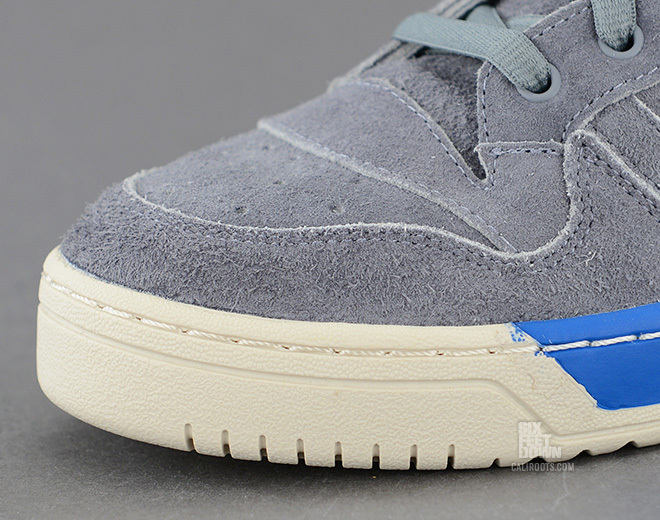 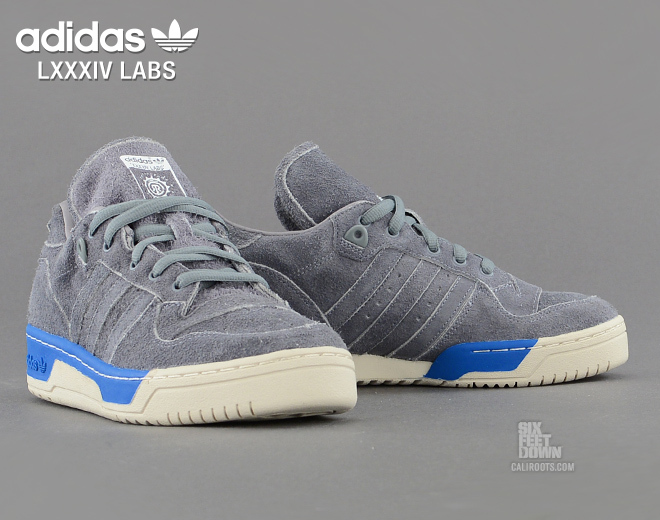 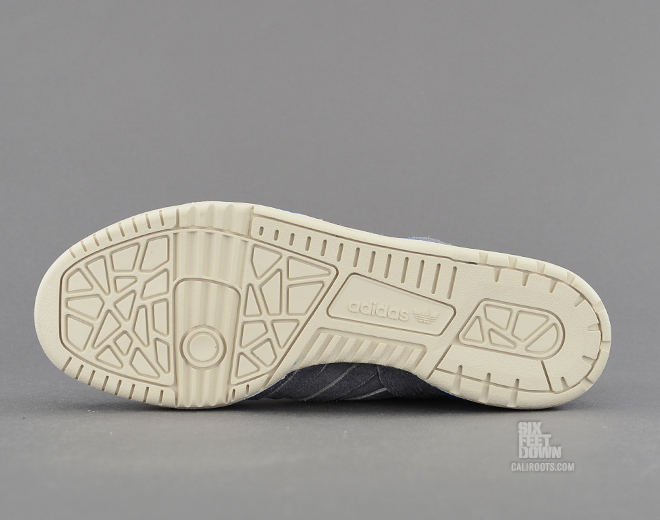 The adidas Originals 84-Lab Rivalry Lo in Tech Grey / Creole Blue is available now at Caliroots.